Patty and I sat across the room from each other at a party ablaze with talk and laughter. I sat near the Christmas tree, satisfied to quietly observe the activities. I looked over at her and realized she was doing the same. Then I realized why. We were writers and were busy taking in the scene and thinking about how to bring it to life. For several years, Patty and I have gone back and forth about writing; she wasn’t sure she was one or even wanted to be one. She hadn’t written a word but said there were thoughts and ideas in her head all the time and was curious what she could do with them. Whenever we saw each other, she always had a tentative question. How do I get started? How do I know if it’s what I want to do? I tried to be helpful and kept my responses low key. Told her about my website. Recommended an on-line writing class. I stressed that even though hard work, it should also be enjoyable. I was unsure our talks would ever amount to anything tangible. Then without warning, a week later, she sent me something she’d written and asked for my comments. It was written in the point of view of a fictional character Patty called “a soap opera diva.” Her piece was short, pithy and well done. The narrator bitterly complained about the entitlement attitude of her friends and neighbors while revealing salacious tidbits of her own life. Very funny. I checked with her to make sure she really wanted critique. She said yes and so I made a few minor suggestions including that she had some interesting plot points that could make this the start of a book. Chick-lit or a beach read. Or her character could be the author of a blog and those plot points could be individual posts providing back story for her character. Patty’s response was giddy and led to our talk about how critique really helps a writer improve their work. That began a whole different discussion. I recall when we talked at that party how we both agreed that no one else in the room understood what we were really talking about. And I wasn’t saying that in a judgmental way. It’s just a fact. Writers talk to other writers in a way that non-writers don’t understand. We laughed a lot when she jokingly called me her mentor; that swiftly evolved into her saying that maybe I was also her tor-mentor. And there is some wisdom in that; though critique is helpful it can also be tormenting. Since then Patty has submitted a second piece for my critique. This time I told her I thought she’d written a prose poem and sent her a link so she could see what thast was. Patty says she feels like a new born baby and still isn’t sure where all this is going. All I know is, I’m enjoying our writing talks and looking forward to the classic role reversal when she’s my tor-mentor and I’m her tor-mentee. April 2017: 3rd place winner in Screamin’ Mama’s Creative Non-Fiction contest. 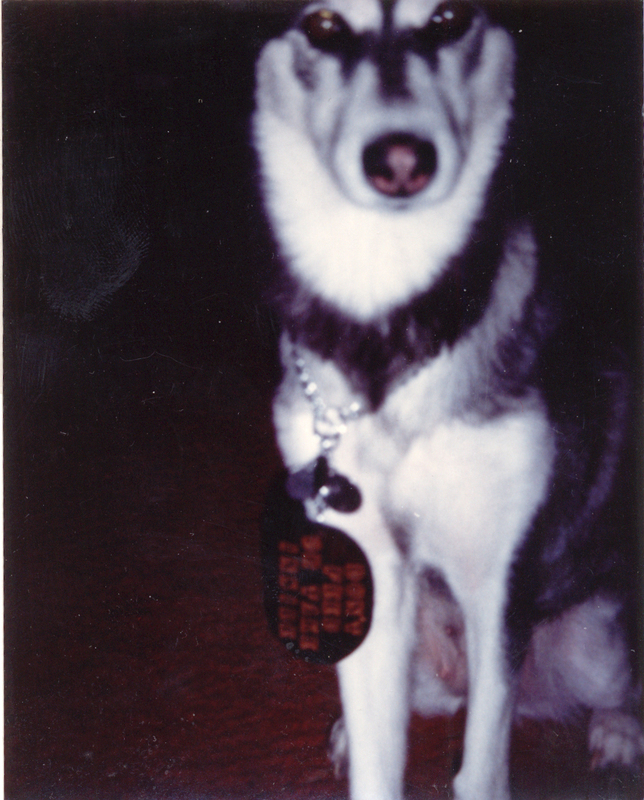 My Siberian Husky, Nikki, was leading a clandestine life, reaping a bounty of untold riches. I had to protect her from herself. Though she’d probably never forgive me, I had to do it. We lived at a ski resort located in the Big Snow Country of Michigan’s Upper Peninsula. Being about 10 miles from Lake Superior meant we got 200 to 300 inches of lake effect snow every year. A skier’s paradise. It was also a builder’s paradise, which was why my husband, a building contractor, and I lived there. We were the only year round residents on the wooded cul du sac a half mile from the ski lodge. The other homes were ski chalets, rented by the week or weekend during ski season. Besides skiers and builders, this location was also perfect for Nikki. The surrounding woods were her playground. Huskies are known for being runners, but Nikki was good. She always came home. And she loved the snow. When I let her out on snowy mornings, she’d put her snout down into the 12 to 18 inches of newly fallen snow; then she’d run at full speed, spewing a snow-plow-like spray as she buzzed the length of the driveway. Each day after work, I’d release Nikki for her check of the neighborhood. But I had no idea what was really going on and became aware of it quite unexpectedly. These ski houses were purchased as an investment by private individuals and rented through the ski resort rental association. The owners of the house next door called, asking me to see what utensils and glasses their house needed before the next season started. While checking the cupboards, I noticed the bulletin board hanging in the hallway filled with pictures. Lots of pictures of Nikki. My Nikki. There she was, cuddled up near the fireplace being hugged by a couple of young children as though she were a part of their family. Another showed her on her hind legs, begging for a morsel. She was having a ball! The guest book was filled with renters’ comments about the friendly dog who visited daily throughout their weekend or week long vacation. One guest recommended to future renters that the friendly dog really likes ice cream. So, be sure to keep it on hand. No one had to tell me how friendly and loving Nikki was. But the ice cream comment surprised me. I always thought her favorite snack was popcorn. But now I was worried. What if, though she had a collar on, someone decided to take this lovely, friendly dog home? Then I remembered the times I’d stood out on the porch and called for her, gave up, went in and then ten minutes later tried again. Finally, I’d hear a far away door slam and soon Nikki would magically appear. Now it all made sense. But there were six ski houses on this road. Does that mean she makes the rounds to each of them? Knowing Nikki, this seemed likely. I knew I had to do something. I went to see Helen, who owned a local leather and gift shop. She suggested attaching a leather tag to Nikki’s chain. Helen made an oval, flat piece of leather, approximately two by four inches where she’d pounded a message: DO NOT FEED OR TAKE INSIDE. I felt devilish as I attached the tag to her collar. Sometimes it’s hard to be a good parent. Almost immediately, I was pleased that Nikki showed up promptly when I called; there also were no more mysterious slamming doors. Then one day, Nikki returned with a little surprise for me: a piece of notebook paper rolled up in her collar. The hand written note said it was so great that an owner cared so much for this beautiful and friendly dog. The writer thanked me and was happy to honor my wishes. So our life went on and Nikki continued to make her rounds of the neighborhood, always showing up right away. Arriving home she always had a treat for being such a good girl. I now rotate between popcorn and ice cream. Time to do whatever I want. But loneliness makes a recurrent visit. Boredom sometimes stops to say hello. Life will happen whether or not I get up. Refocusing on long forgotten hopes.